Have you ever thought about how to improve the overall efficiency of your ignition system? Concerned about transients from the car battery? Creating a quality ignition system design requires having the right knowledge as well as the right resources. To help you with this process, we put together a Technical Article called the Introduction to Automotive Ignition Systems. 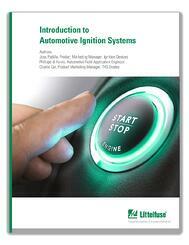 Receive your complimentary article on the Introduction to Automotive Ignition Systems today.